I don't have a ZHP, but I recently picked up a 2003 330XI sedan (stick, with sport package). I thought I'd join here to absorb some additional e46 knowledge. Yet another cooling system refresh, but with a kicker. ZHPMafia.com is a BMW E46 330 ZHP forum geared toward owners and enthusiasts of the BMW 330 ZHP. While the site says ZHPMafia.com -- which means that many of us are here because of the ZHP option package found on the E46 BMW -- we are an inclusive group. Thus, while the site’s primary focus is on the BMW 330 ZHP performance package, our members are interested, first and foremost, in all things BMW. Question: When did the BMW 330 ZHP first debut? 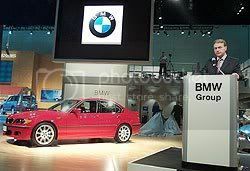 Answer: The BMW 330 ZHP, which was created by BMW Individual (a division of BMW’s M performance division), debuted at the Los Angeles International auto show on January 2, 2003. Production was scheduled for March with the first ZHP-equipped 330s hitting showrooms in April. Question: How much did the ZHP package cost? Question: What transmissions were available for the BMW 330 ZHP? Answer: The 2003 model was only available in a 6-speed (Getrag) manual transmission (GS6-37BZ, part number 23007532498). From 2004 to 2006, the ZHP was available in a 6-speed manual transmission and automatic transmission. Question: Was the ZHP ever available in SMG? Answer: No. We've discussed that issue here and here. Question: Was the BMW 330 ZHP available outside of the E46 platform? Answer: No. The 330 ZHP was only available for the E46. It was not available, for example, on the E90 330, which debuted during the summer of 2005. Question: What is the ZHP's horsepower? Answer: It is 235 HP at 5900 RPM, which is 10 HP more than the standard BMW 330. Answer: The ZHP puts down 222 lb-ft of torque at 3500 RPM, which is 8 lb-ft torque more than the standard BMW E46 330. 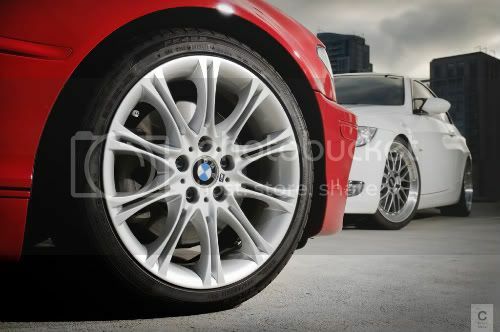 Question: What is the redline for the BMW ZHP? Answer: It is 6800 RPM, which is 300 RPM more than the standard BMW E46 330. From what I gather it's the F10 M5 knob. I haven't been around in a long time; sorry 'bout that. Too much stuff and not enough me. Anyway, on Monday I was out running some errands. My mate is after one, and is sick of looking for them himself. BMW Performance Intake for M54B30. Desired location of vehicle: Midwest preferred, open to traveling and drive the car back.